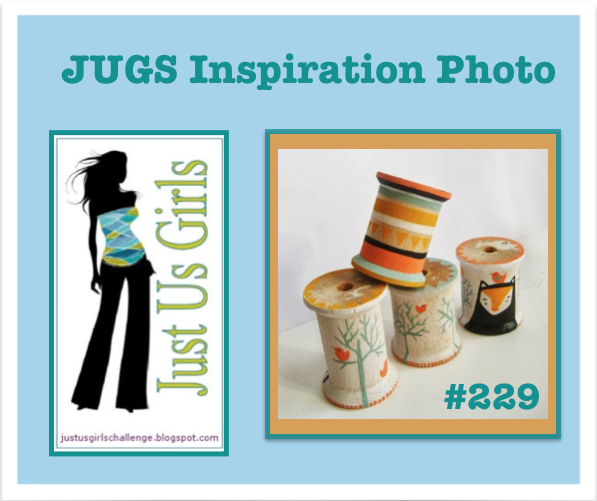 Lisa over at Just Us Girls has this great Inspiration Photo for us this week! I was very intrigued the minute I saw it, because it was so unusual! have done with it! While your there…PLEASE JOIN US! Here are some links to get you started! Remember to find sometime to be creative, it’s good for the soul. Acc: Washi tape, gems, pop dots. Categories: Cards | Tags: Card making, Cards, color challenge, rubber stamps, stamping, Thinking of you | Permalink. What a fun inspired card! Very sweet card, Nancy! You gotta love that sweet bird and the pretty flowers! The flag elements at the top and bottom add a lot of interest….love the colors! Wow!! Super job with the colors in Lisa’s photo! I’m a huge fan of that turquoise! Your card is great! A happy & cheerful card. Love the colors and design of your card Nancy. Great take on the inspiration photo. This is just beautiful Nancy! Sorry I’ve been slacking on blog visits. I have no idea why…just tired after work I guess but, I never get tired of seeing your lovely work! Thank you again for your friendship! I hope you have a great week!! LOVE all of the banners top and bottom and those Pretty flowers! The bird is Darling and the black gems are a FAB detail! Super card, Nancy! YES…..happy thoughts of Spring! Loving your birdie! He’s a cutie! I also love the layered banner flags in all the colors too! Adorable scene…love your take on the inspiration! Thanks Lee-Anne…for you sweet comment! I so appreciate it! Nancy, this card really does give you happy thoughts! I love the fun colors, cute bird and pretty flowers. I also love those layered banner strips.